Question: Even though Walmart target market is the working class, how would you express its conditions of management skills with its workers who work there? Ford has increased their production capacity for the second year in a row in order to meet their production demand for their cars, trucks, and utilities. The Chicago assembly plant, one of the many plants included in the plan, will play a critical factor in the company’s production capacity who seeks to increase total production by 200,000 units. It seems like the company will for now only focus on their more popular automobiles which include the Ford Explorer, Ford Fusion, and the Ford F-Series. Ford plans on increasing the production capacity by only allowing one-week summer shutdowns which in turn will produce 40,000 new units. Currently Ford’s stock is listed at $14.49 per share, while General Motors is trading at $32.87. General Motors is also planning on increasing their production capacity, however they are focusing on introducing 23 new cars and trucks to their automobile portfolio. Ford states that the company is planning to add 1,300 hourly jobs this year alone and it is planning to offer 12,000 hourly jobs by 2015. Ford’s revenues increased 10.5% to $35.8 billion. The automobile industry has been considered America’s backbone for many years and we have heard of the struggles it went through especially during the recent recession with needed government aid. I understand that the industry as a whole is looking to increase capacity however Ford has not mentioned any new automobiles to be added as part of the plan. We have all heard of the phrase, “just because everyone’s jumping off a bridge does not mean you have to.” I believe that this is a risky move for Ford with what they plan on doing with their production right now and we all know the costs that run along with production and storage. The company states that in plans to increase hourly jobs. However, adding these hourly jobs does not completely mean that hourly workers would be able to work full-time hours. The company has yet to declare whether or not these workers will be working full-time and the type of benefits they would receive. I believe Ford is eager to increase their production due to what other companies are doing and because of their recent growth. However, in the automobile industry, bad forecasting can be very costly for many reasons. For example, if revenue drops for the next year or two, then the company is stuck with a large number of vehicles in their storage centers. No company wants to report new hiring and then go downhill with reported job cuts and firings after. In Ford’s case, is it too soon to increase this production capacity and plan on new hires? Does one good fiscal year call for changes in operational management for next year? 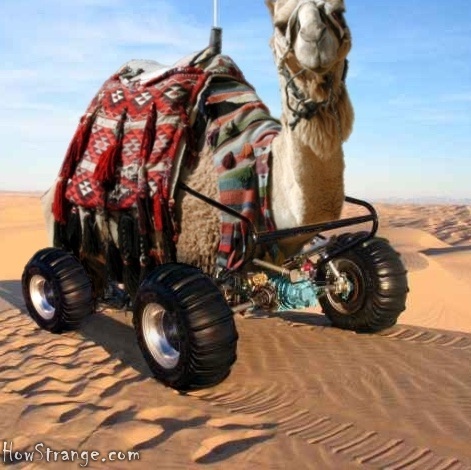 And quite frankly, can Ford compete with the innovation that General Motors is adding to their portfolio? Infer is a company that develops technology that allows company’s sales-tracking system to rank customer leads based on how likely they are going to purchase something. The company has raised 10 million over the last two years while working on this technology. Infer is rather simple as its software starts with basic information. For example, if a customer decides to enter their name, address and company when signing up for a product. The Infer system will then start doing research behind the person that signed up for the product. 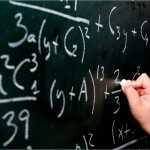 The CEO, Vik Singh is young as he is only 28 years old, but he believes that his mathematical formulas will increase sales. Vik Singh and his 10-employee team are in the midst of improving sales by using better math. Vik doesn’t seem to be short on confidence as he feels that this new innovation is sure to help increase sales. The problem is the fact that he is very young and there may not be that many people that believe in his new ideas. He may not be the best person to trust for sales, but he certainly has the right engineering track record. He worked with Google fine tuning search systems before moving to Microsoft. At Microsoft, he developed technology with Jim Gray, who of the greatest computer scientists of the last half century. He finished working with Microsoft and built a new Yahoo search system. Vik Singh has worked with some of the biggest technology gurus in the world. Vik Singh says, ” The way the typical company manages data is piss-poor in comparison and there is more science at Facebook (FB) behind seeing which of your friends are getting drunk across the street from you.” This seems to be a common theme with all the new web-savvy engineers that are trying to make new rules for business applications. Vik Singh wants to treat sales deals like a puzzle. If Infer can makes their sales deal like a puzzle then it can be solved with an algorithm rather than a dinner between people who have ideas. Infer has worked with Box and other customers to verify their research. It works with historic sales and compares outcomes with their own predictions. Singh continues to tell everyone that the experiments come out nearly perfect, but he has not released any proof of this for businesses to see. In my opinion, there are a lot of other things that factor in when dealing with sales. There needs to be more facts when trying to rely on just math to increase sales. 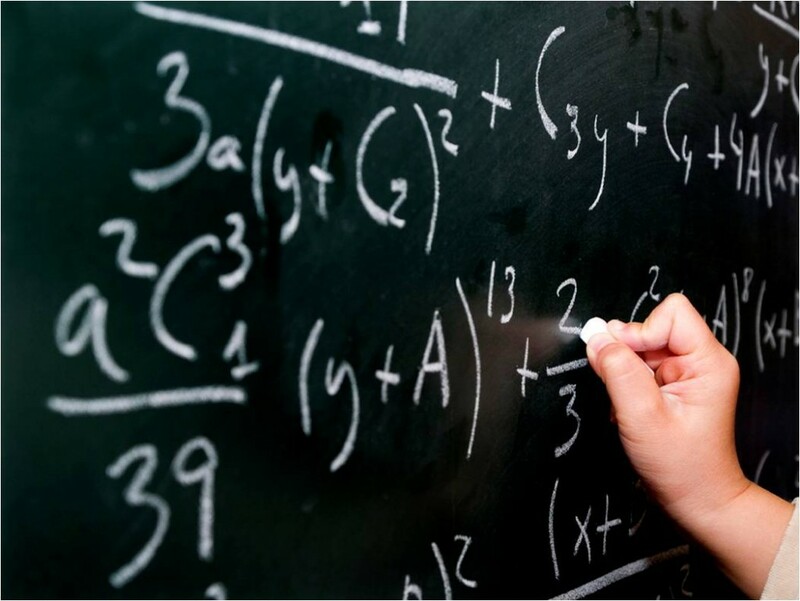 From a management point of view, I don’t know if Vik is taking things a little too far with all these math equations, but he does have the technology background to speak for him. Then again who has time for someone that is only 28 years old and is trying to change the way selling works? Keep them happy and your business will blossom. Human Resources and job design is one of the ten critical decision areas of operation management. Human Resources play a major role in the success of any operations management of a company. Human resources supply an organization with its employees and take care of administrative issues such as payroll, on-job training, rewards and other vital matters. It forms the fundamental basis for any operations management system. Based on the company’s requirements, job descriptions should be tailored and accordingly the selection process starts. HR fills the positions with effective workers who are professional, efficient and have the right work skills. Each employee should be aware of his job description and what is expected of him. Some companies do not have a clear job description, no communication of expectations and responsibilities and therefore, employees have little understanding of their job role and feel confused and disorganized. A strong communication path should exist between the management level and its employees. For a successful business, great emphasize should be placed on HR because they form the base for any organization. Employees are a company’s first customers. They should be treated with fairness and rewarded as they go up the career ladder. A career path for each employee should be drawn and clearly communicated. Dissatisfied employees could generate bad business practices and dissatisfied customers. Keep them happy and your business will blossom. I have included below a link for an interview with Steve Jobs. This interview was presented and discussed in one of our work meetings and wanted to share with you. He states two main factors for the success of any organization. One is hiring people who have passion for what they do. Steve Jobs mentioned that people who have passion and love their job would never tire from hard work. To reach success, a lot of hard work and long stressful hours is required. People who don’t have passion for their jobs lack the enthusiasm to work for long hours to accomplish the company goals. Another success factor is hiring the right talent for the right job. Many times you find the wrong person in the wrong job which results in job errors and customer dissatisfaction. Some companies opt for cheap labor to fill positions instead of paying more for qualified workers, not realizing that in the long run their investment would pay off. Invest in your human resources to achieve success in the long run. I think it is the right time to say good bye to the legend car, it was started since1992 but the end has come for the hummer brand, GM decide to transfer a military car to a civilian car , GM bought the Hummer model in 1999, but sales fell sharply with the image degradation of the army and the decline in car use heavy fuel consumption. The car that represents the magnitude and excessive consumption of gasoline, the car that attracted celebrities and off-road enthusiasts, as well as the wrath of fans of the environment. The story start when General Motors has decided to cease production of Hummer H1 car, the Hummer H1 which is similar in its design Humvee jeep used by the U.S. military. Consistently and conservationists t protest against the pocket because of the high rates of consumption of fuel. GM said that the rise in fuel prices has nothing to do decision to halt production of pocket because this issue is rarely of concern to people who buy Hummers. And will continue to produce military model of the jeep, Indiana plant in the U.S. as the company will continue manufacturing Alcklitin H2 and H3. 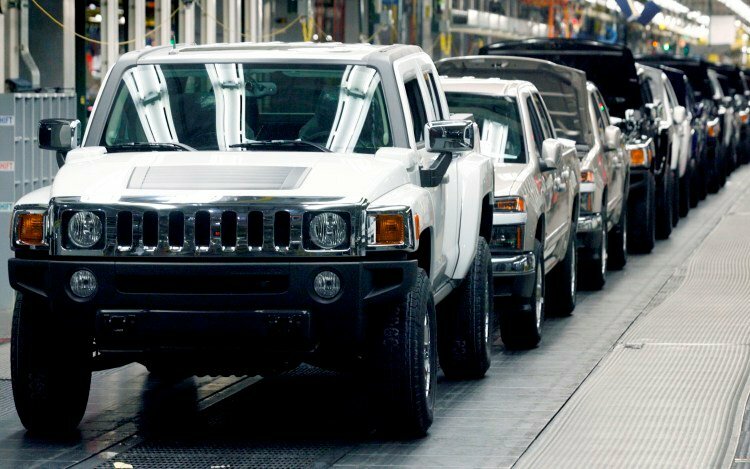 By 2010 the Company decides officially to stop making hummer cars at all for GM’s U.S. car production Hummer after the collapse of takeover by the Chinese. GM did not give reasons for the collapse of the attempt to sell the model to Tndzong Chinese Company, but the news said that Beijing has refused to approve the completion of the deal. The U.S. Company decided to sell Hummer production before two years ago with the disposal of a number of models produced by and request protection from creditors as a prelude to bankruptcy. The company expressed disappointment with the deal because the Chinese did not take place. “John Smith said, vice president of the company: General Motors will work with staff in the production of Hummer dealers, and suppliers of plant to end the work in an organized and responsible“. The company said it will continue to adhere to the owners of the car security around the world and provide service and spare parts. The life cycle of producing hummer car went away quietly and quickly, it was an attractive car to the gulf consumer which is a huge menacing vehicle. And fit the G.M image of always having the biggest and the best brands, which was special and unique car and had attracted most of the celebrity to have a hummer. But after the new model of range rover and BMW X5, those car start to attract the people whose is looking for a luxury car. And the time has come to stop producing hummer car; the hummer car will be always in our memory and continue as an American iconic symbol. 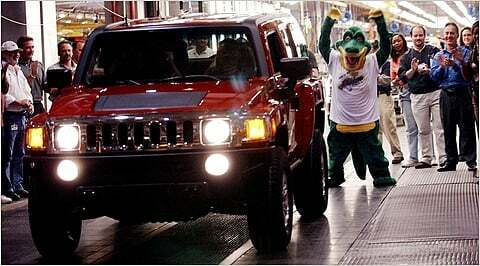 here my question is do you think G.M will think to reproduce hummer car in the near future? And what was the real reason to stop producing it? Do you see the civilian hummer brand was a victim of the recession rather than gasoline prices? The importance of project management could not be limited to the private organizations to make more profit and be more prosperous. Project management is a common part of our everyday life. However, it could be obvious and more important in the public and government sector. We learned that the project management go through critical phases: planning, scheduling, and controlling. Throughout each phase, there are many critical success factors CSF that should be viable in order to make the project objectives in place. 2. Having time to plan. 3. Careful tracking and control. But we should not ignore the danger of the ethical decisions the project manager facing on a daily basis. I did not realize that most of governmental projects went through the project life cycle, or followed the basic level of the project management standards. I did not realize that they have any kind of project CSF or pure of ethical decisions. I found an interesting article “Sewage scandal story can ‘shake Saudi’ http://www.thenational.ae/news/world/middle-east/sewage-scandal-story-can-shake-saudi#full that prove and show how governmental project can lead to crisis. In his article, Mr. Wael Mahdi showed that the mismanagement of the sewage project system in Jeddah, Saudi Arabia was the main reason behind wiped out thousands of homes in Jeddah and killed at least 123 people in Jeddah floods in 2011. Last Wednesday, Two men have been jailed in one of the first convictions in a Saudi Arabian corruption crackdown started after deadly floods hit Jeddah in 2009 and 2011. “The defendants are convicted of the crime of bribery. Each will be jailed for five years, starting from their detention date, and will be fined $186,000,” http://www.constructionweekonline.com/article-17126-two-jailed-over-jeddah-floods-corruption/. I can see that the lack for top-down commitment and lack of communication in addition to ethical decision in this critical project were the main reasons behind this catastrophe. Would you believe in the importance of CSF and ethical issues in project success? morning coffee. Running out of food in the home is bothersome. However, running out of supplies in manufacturing or large retail outlets can be very costly and may even ruin good, honest reputations. For me, learning about Inventory Management in class and in further reading prompted questions in my mind about the importance of good Stock Control. I mean, who really pays proper attention to the subject until (like me) they see that supplies have run out and normal production is hampered or even stopped? Well the answer to that is the Inventory manager. 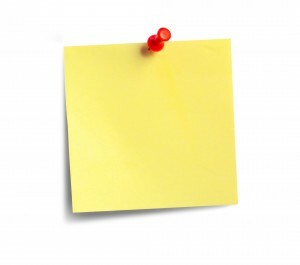 Using very sophisticated ‘post it’ systems, his/her job is to ensure that all the parts and pieces are available at any time during normal operations to allow business to keep moving whether in manufacturing, retailing or any operation which involves simple or as in most businesses, very complex supply chains. In my company SABIC, inventory is key. Lack of critical operational components would result in millions SRs in Gas losses. Recently, I took time to quiz the Inventory Manager about the challenges he faces in keeping good stock. I won’t explain here how the system works; rather I will deal with some of the challenges and I will try to add a few thoughts and solutions of my own. To ensure availability of spare parts for process and safety equipment. Using a super sophisticated SAP Inventory Management system with all the ‘bells and whistles’ there are still (a) several factors which do affect a planned lead time and there are some (b) special challenges which lie outside the powers of SAP to deal with. Factors related to Lead Time. To factor into the ABC analysis a ‘spare parts depreciation table’. Knowing when the most critical process/safety parts need to be replaced in advance their expiry date would generally increase chances of their future availability. Stock cheaper, inferior but easily (locally) available substitute spare parts to be used in the absence of preferred products. (i.e. Using creamer instead of milk). Pay extra money to use procuring agents to source and tender for highly critical spare parts. Swap, barter and buy spare parts collectively with other SABIC companies to reduce purchase costs and increase even further the chances of spare parts being available. Non- Availability of ready-made spare parts for custom specifications. Delivery Failures attributed to Suppliers. machine/operations (machine needing the parts) manufacturing company or possibly a competitor company using a similar technology. with and maintain goodwill. Escalate the relationship with disappointment, distain and even possible punishable future sanctions. In my work place, replenishment lead time is dogged by delivery delays. Improvements need to be in more precise forecasting and knowing well in advance what the product demands are. Proper analysis of historical SABIC purchase records combined with carefully calculated projected usage and mindfulness of corporate needs would in my view, help our Inventory Manager to acquire and maintain a proper assortment of spare parts while the ordering, the shipping, the handling, and inventory costs can be kept well under control. However, before I start advising an industrial giant on inventory, let me begin with a few polite words with my mother about yellow ‘post its’ and how she plans in future to buy milk. I guess most of you have an account on Twitter or is thinking of opening an account in Twitter because you are starting to get bored from Facebook. One of the main lessons I learned from my operations management class is the Product Life Cycle. A product goes through the following stages: Introduction, Growth, Maturity and Decline. In my opinion, Twitter is currently in the growth stage due to the huge increase in the number of users per day. Twitter was established in March 2006 and by the end of 2007 it only had around 5 million users worldwide. In 2012, the number of users reached 200 million users worldwide. Twitter moved up to become the social networking site with the second highest number of users after Facebook which currently has around 900 million users worldwide. Twitter is very popular especially during important events. For example, Twitter users were actively using Twitter during the 2010 FIFA World Cup, 2010 NBA Finals, the day Michael Jackson passed away and during the 2011 Arab Spring. Moreover, many users are using Twitter to follow their role models, famous celebrities, professional athletes and even famous academic scholars. During Twitter’s introduction stage, the company was able to invest in research and development and determine what exactly a social media user want from a social networking website. They discovered that social media users demand instant updates and latest news that is even faster than the famous news channels on TV such as CNN and BBC. During the 2011 Arab Spring, almost all Twitter users were using Twitter to read about the latest updates and breaking news rather than watching the TV. As a result, both CNN and BBC and other main global news channels opened an account on Twitter in order to provide the users with the latest updates. Therefore, people usually followed those users who provided the latest and breaking news that are credible and reliable. Due to its extensive research and development and its ability to identify what exactly does the customer require, Twitter decided on October 2010 to introduce the “New Twitter” which allowed the sharing of videos and pictures as well as links to other websites. These developments increased the popularity of Twitter because now users can share their latest updates and breaking news with pictures and videos to support their claim or latest update. Moreover, Twitter created “hashtags #”. Those hashtags assist users to search the latest news about any topic in the world such as political events, economic events, entertainment events as well as sports event such as the World Cup and the Olympics. Twitter is still in the growth stage because it was capable of improving and developing its product and conducting ongoing research and development to understand what exactly does the user want and then identify the strategies that will enable Twitter to satisfy the needs and requirements of all its existing and potential users. It is very important to mention that many companies all around the world are using Twitter as their main advertisement media to gain new customers and increase its market share. My question is how can Twitter defeat Facebook and become the number one online social networking website in the world? Operations management and product design… Two important areas each organization should focus on in order to differentiate itself from its competitors and become a success. A very successful organization that has managed to become a very well known brand and a leader in its industry by developing its own operations management style and focusing on its product designs is IKEA. The IKEA vision is “To create a better everyday life for the many people.” Its business idea is to offer a wide range of well designed, functional home furnishing products at prices so low that as many people as possible will be able to afford them. By focusing on product design, consumer value, clever solutions, and by using inexpensive materials in a novel way and minimizing production, distribution and retail costs, IKEA was able to offer its customers furnishing products at low prices compared to its competitors. The IKEA product range is developed to be extensive enough to have something that appeals to everyone and to cover all functions in the home. The products are modern not trendy so they are practical enough for everyday use. They are functional and appealing, and enable many people to improve their home life through practical solutions to everyday problems. Creative yet practical! Not only that, IKEA products are subjected to rigorous tests to make sure that they meet national and international safety standards (Quality Management). IKEA has developed a unique way to manage and craft its customer experience and therefore had become its core competence. Many organizations tried to copy this approach but so far none were met with success. The IKEA concept builds on a relationship with the consumer. IKEA is one of those stores with a great shopping experience that evokes word of mouth. I always look forward to my visits there. It is so much fun to just sit on all those couches or envision how that bedroom would look in my own house. What IKEA management has done was that they have studied thoroughly the customers’ behavior and their hot buttons when it comes to shopping for furniture and focused on developing its shopping environment and operations in a different way from its competitors. They focused on developing unique ideas and solutions that meets different styles and tastes in reasonable budgets by featuring mock up rooms with different sizes and showcase how their products could fit in small rooms and houses. They have also been very successful in creating some kind of a walkthrough experience from the entry point to exit point with having some arrows on the floor guiding the customers to move from one section to the other. In a way, they are leading you by hand to make your shopping experience more enjoyable. It might look very simple when discussing the different aspects of a successful operations management in IKEA, but combined together, it is a force to reckon with. Do you not agree? I am going to focus on the concept of car consumption and how it relates to the importance and sage of control charts in quality management for my company. Control charts are used to monitor variations in given a variable for the purpose of making sure that the process is on control. The types of variations are assignable or common. The company I work for is in the entertainment business and we have a large set of cars assigned to track and off-track activities. Some of these cars are specific for racing activities are others are just tuned road certified cars. The process of maintaining these cars in a good operating condition involves a series of periodic general inspection, regular change of parts and oil and fuel filling not to mention the inventory of parts which accounts for the largest percentage of money spent on all. Expenses of which the company dedicates a substantial amount of money under the category of cost of doing business. Our operations department utilizes control charts as an indicator if something is going wrong. One of the variables they focus on is fuel consumption. What was really interesting to me is how specific the process of putting control charts was. The process involved factors like the type of the car, the weather conditions it operates in and the car depreciation value which relates to its usable lifetime. Each one of those affected the level of consumption and it happens that we get a reading for one of the cars beyond the control limits that will indicate that there something wrong with the car and it has to be inspected. Other control charts are prepared in the same manner for the other variables affecting the condition of the car. As per our operations director, gathering the right set of data is the most difficult part. You will be able to obtain most of the consumption and car wear and tear variables as per industry standards or from the manufacturers themselves. One of the common mistakes is that you will base all of your charts based on them. You will have to collect your own and have a variance analysis just to make sure that you do not get misleading results at the end of the day. What I would to add here is regardless of how prepared we seem to be by keeping an opened eye on consumption we had the occasional unexpected breakdowns of some of our vehicles. Despite the fact that the last check was completely perfect. We had other cases in which we were using the wrong limits for our charts and ended up being reactive at the expense of quality. Would the concepts of quality management and your business relevant statistical process control charts make sure that you have the perfect quality product in the market? In my line of business, it would minimize the risks and based on experience it is not a guarantee. What about yours?